You can import names, addresses, phone numbers, email addresses, birthdays and Consultant numbers of your unit and offspring units from the myBusiness™ section of InTouch® into Boulevard. In addition, if you are missing information on a particular Consultant, Boulevard will update address, phone, or email address fields with the information contained in myBusiness™. Some import functions may not be available with all web browsers. If you are experiencing difficulty, try using a different internet browser. We recommend using Chrome internet browser when using the InTouch website. Under Business Tools > select MyBusiness > then Reports. From the Reports toolbar, select Group Information > Birthdays. Highlight the entire web page using the browser’s Select All function (Ctrl + A). Copy the information highlighted to your clipboard using the browser’s Copy function (Ctrl + C). Note: Boulevard uses the consultant number to match the consultants to be imported. 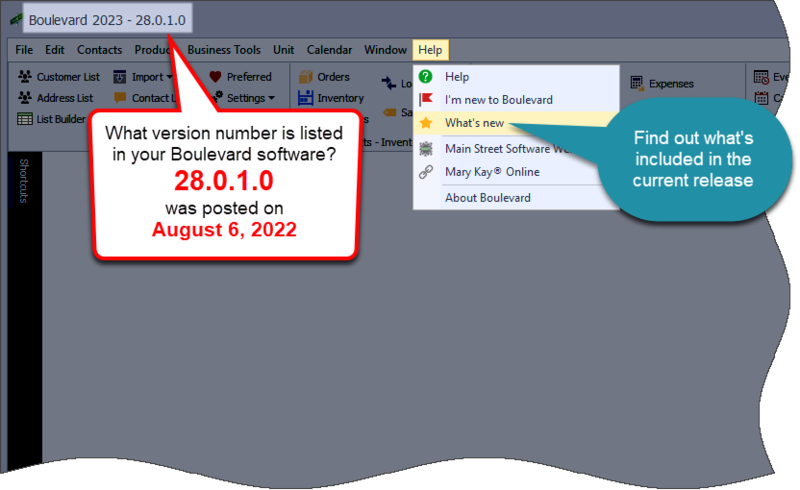 If there is a consultant already found, Boulevard will not import by default. To update information for consultants already added, select the checkbox next to their name to be included in the import. From the Unit menu, select Import then Consultants from Online. The consultants to be added will automatically be selected. Click Select All if you would like to update all consultant information. Ensure the correct unit number is listed in the Unit Number field, then click OK . Need to update your billing information or access downloads? Please log in here.